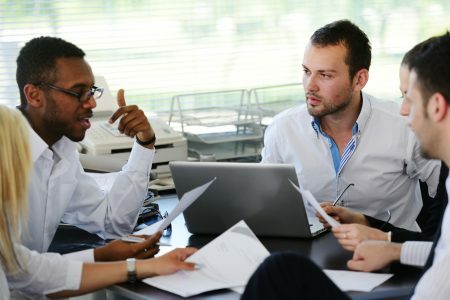 Small businesses can sometimes accumulate a crippling amount of debt in the course of normal business operations, and a bankruptcy can assist a small business owner by restructuring your debt to continue operating, eliminate personal liability for business debts, and/or to liquidate the company’s assets. The type of bankruptcy you choose, will be based on one of these end results you want to achieve. While certain business structures have the ability to file Chapter 13 bankruptcy or Chapter 7 bankruptcy, they can also file Chapter 11 bankruptcy, which is sometimes referred to as business reorganization bankruptcy. Chapter 11 bankruptcy is helpful in allowing a small business to continue operating while reorganizing debt in a repayment plan (similar in nature to a personal Chapter 13 bankruptcy). It’s important to note that Chapter 11 bankruptcies can be more complicated and significantly more expensive than the other two. When a business owner files a Chapter 11 bankruptcy, they are also required to file reports on the ongoing financial health of the company and must work with an appointed creditor’s committee. The creditor’s committee typically vote on the repayment plan in order to approve it. If you are a small business owner facing a tough financial situation, then it is worth consulting an attorney who handles chapter 11 bankruptcies in your state. There are some situations your bankruptcy attorney in Houston will be aware of that you can proceed through Chapter 11 bankruptcy more quickly and without as many hearings with your creditors. Additionally, a bankruptcy lawyer will be able to also recommend a Chapter 13 or Chapter 7 bankruptcy if it is a better option for you. This might be the case if you are seeking to wipe out personal liability for business debts.